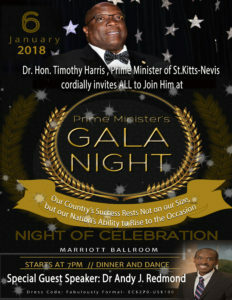 Basseterre, St.Kitts (January 4th , 2018) :- St.Kitts Proud Son of the Soil Neuro-Surgeoun Dr. Andy J Smith-Redmond has been announced as the featured speaker at Prime Minister Dr. the Honourable Timothy Harris’ New Year’s Gala, which takes place on Saturday , January 06, at the St. Kitts Marriott Resort and Royal Beach Casino. 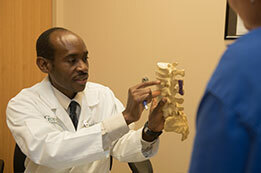 Dr. Redmond is a neurosurgeon, specializing in brain and spine surgeries, with particular emphasis on pain management. 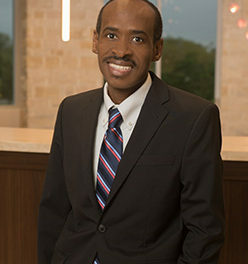 Redmond , who was known during his school years as Andy Smith, was born and raised in St.Kitts and attended the Cayon High School and then graduated from the CFB College then known as the 6th Form College of Further Education in 1993. It is interesting to note that the graduating 6th Form Class of 1993 included a number of accomplished professionals including Medical Doctors Gavin Hamilton, Mark Grant, Dail Crawford and well known locally based professionals including Comptroller of Inland Revenue Edward Gift, Social Security Attorney Leon Charles, St.Kitts-Nevis -Anguilla National Bank Director and Marketing Manager at Horsford’s Wallis Wilkin, TDC Executive Leon Bass, Delisle Walwyn Executive Youlouca Armony, Cable TV Company Director Myrtilla Williams and others are some of Redmond’s 1993 Sixth Form Graduation classmates. 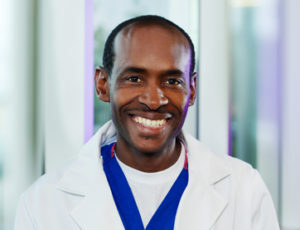 After Graduating 6th Form Redmond joined the St.Kitts Biomedical Research Insitiution where he received a scholarship to pursue studies abroad where he ultimately transferred to Yale. There he completed his undergraduate degree, as well as his medical and surgical training. Dr Redmond and his wife, Kathlyn, enjoy exercise, swimming and reading.